If you already use Ooma Office for your business phone, you’re probably familiar with the virtual receptionist as a way to greet and direct incoming callers. With the virtual receptionist, businesses have been better able to make the most of limited staff time, freeing up traditional receptionist duties so that employees can devote more time to customer service and other projects. In a recent post about the 5 ways a virtual receptionist can help your law office, we revealed the many ways this tool can be helpful, but in any industry, the virtual receptionist feature has been highly valued as a way to automate incoming calls. Now, Ooma Office’s popular virtual receptionist feature is getting a major upgrade. How’s Ooma’s Virtual Receptionist Being Upgraded? The updates to Ooma’s virtual receptionist give businesses much more flexibility in how they want callers to be greeted and directed. With this virtual receptionist feature enhancement, businesses can add several virtual receptionists systems for each account. Multi-VR can be used as a way to establish nested phone menus. This multi-tiered approach allows you to create submenus for different departments. For example, “Press 1 for sales, 2 for support, 3 for billing..” The feature can also be used to provide support for multiple languages. For example, in the first menu, the caller chooses the desired language, and the second tier menu of sales, support, and billing could be in the language or accent that the caller selected. Using this newly enhanced receptionist feature, businesses that have multiple locations can establish a virtual receptionist for different sites. For example, two retail locations can have different prompts for their site’s sales teams, customer service, or management. Businesses can establish a backup virtual receptionist system so they can change their answering service ad hoc without a schedule and without needing to reconfigure their systems. For example, when a business’ staff is at a trade show, a different phone prompt can be used than the one in use during regular business hours or holidays. Begin by mapping out how you’d like to organize your phone menus. Create each individual virtual receptionist for each menu. The default virtual receptionist will be the top level of the menu structure. Link the virtual receptionists together so that, for example, pressing 1 will result in the sub-menu for the sales department, and pressing 2 will be followed by the sub-menu for the billing department. 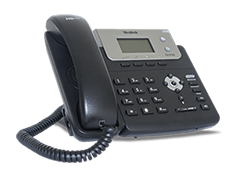 For virtual receptionist menus that you’d like to use ad hoc, there’s no need to link them to the tree; just change the default receptionist whenever you want to change the way calls are answered. The ability to add additional virtual receptionists isn’t the only update. Ooma is also updating the setup menus for the virtual receptionist tool to make it more intuitive and easier to use. The update will let you access the virtual receptionist setup tool from all pages in the Settings tab. Adding a virtual receptionist will take users through four major steps: (1) Add basic info, (2) Configure initial greeting, (3) Set the schedule, and (4) Configure after-hours. During this process, you’ll be able to set annual holidays, after-hours greetings, and more. Editing an existing virtual receptionist will be similar to creating a new one. During edits, you’ll have the ability to see the current active menu, and there’ll be a numbers tab so you can edit the flow of how a caller moves through the menus. 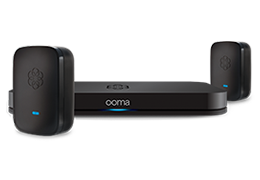 Make the most of Ooma Office business phone service by learning about the calling features that can help your business streamline communications.